. . .ernor to the king, his son married the king’s eldest sister, Mary, and became Earl of Arran. But brief was the triumph of the Boyds. In 1469 James married Margaret of Norway; Orkney and Shetland were her dower; but while Arran negotiated the affair abroad, at home the fall of his house was arranged. Boyd fled the country; the king’s sister, divorced from young Arran, married the Lord Hamilton; and his family, who were Lords of Cadzow under Robert Bruce, and had been allies of the Black Douglases till their fall, became the nearest heirs of the royal Stewarts, if that family were extinct. The Hamiltons, the wealthiest house in Scotland, never produced a man of great ability, but their nearness to the throne and their ambition were storm-centres in the time of Mary Stuart and James VI., and even as late as the Union in 1707. Some parts interesting but I felt written in too much a ‘list’ format and in many cases hard to read. Hard to enjoy because I had no connection with the people, places, names, etc. I listened to this book, not read it. 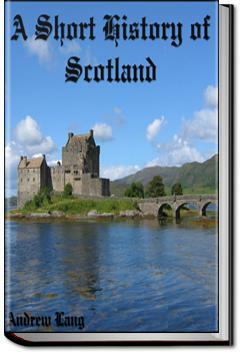 It served its purpose of keeping me awake at work while also being an interesting snapshot of Scottish history. It's a good place to start, and I would be delving more into certain topics the book discussed.